Smart thermostats allow you to control your heating via a smartphone app or through a voice-controlled speaker. This means you can turn the heating on and off without moving from the sofa, or if you are on the bus on the way to/from work. Many have timer settings so that you can create a schedule if you regularly have the same routine. Some of the more technical models also have GPS detection so they can tell if anybody is at home or the house is empty, turning on or off in response. Smart heating comes as central heating thermostats (which control your boiler and system throughout the house, as well as hot water in most instances) or radiator thermostats (which control single radiators and allow you to override the overall home settings). Most work as part of an entire ‘smart system’, requiring a central hub/bridge to connect and send information to. This is worth bearing in mind before you buy or install your product. It is thought that having a smart thermostat could save households around £200+ per year. It is an element many people don’t think about changing to save money and lower carbon footprints; you can turn your TV off rather than leaving it idle, but the ability to turn your boiler and radiators off can save a lot more cash. With the ability to control your heating from your phone, you will never have to heat an empty home again and can turn it on ready for you coming home. This model could save you up to £130 per year, and you don’t even have to change your boiler or energy provider. All you need is a Hive Hub, which is also required for all other Hive products. It allows your thermostat to be controlled remotely, and all you need to do is connect the receiver close to the boiler to get them all to communicate. There is also a frost protection setting, which is set to monitor your pipes once it hits below 7°C, although you can change this in the settings. It will also take the necessary action when heating, such as turning on for a lower temperature for longer to protect your heating. The hot water boost schedule is great if you always have a shower in the morning and don’t want to hang around while the water heats. You can set it to prioritise the water temperature without making the boiler overwork. Want to schedule the heating to come on at 6 am in the morning for your bedroom and the kitchen but not the kid’s bedrooms or living room? Set up a Hive Multizone system, where you can control three different areas of the home with separate thermostats. Geolocation technology will alert you if you’ve left the house but left the heating on, or are coming back and the temperature is lower than your set minimum so that you can take the relevant action. One of the best Hive smart home products available, and it is clear to see why they are a consumer favourite in this thermostat. Smart home temperature control with energy saving, the Nest 3rd Generation includes a home report function which lets you see how much energy you have used in a particular time frame and tells you how to save some extra. If there are peak times when the energy gets too high, it will suggest ways in which you can reduce this to make it more plateaued throughout the day. After just one week of installation, it gets to know your favourite patterns and learns to start automatically adjusting the heating to the way you like it. Eco mode can also sense when nobody is in the house, turning the heating off or down. Control the thermostat from your smartphone, tablet or laptop when you are out to get the house ready for when you return. You are also able to control your water tank, heating only the water you need. The app lets you see who made changes to the system recently. Farsight technology lights the thermostat up when somebody enters the room, so they can easily see the current temperature, weather or time. It also monitors this weather via the Met Office, so if it is cold or boiling outside, it can adjust the temperature accordingly. It works with Amazon Echo and Google Home, but no Apple Homekit support yet. Great for both controlling your heating remotely and trying to cut down on costs and use - one of the best out there. With a large, clear display, choosing the correct settings and temperatures for you is very easy, with on-screen guidance to help you make the most of your thermostat too. You have control over how it works no matter where you are in the world, as long as you are connected to a suitable internet connection. There is also the handy location services, which pairs the thermostat up with the app and analyses where you are. If you’re out of the house, it can turn the heating off, and similarly turn it on if you are approaching home. The T6 also includes several schedule settings to fit your lifestyle, such as 7 day, 5/2 day and single day scheduling with up to six different time settings. So whether your schedule is always the same day in day out, varies at weekends or you just don’t know what you’ll be up to, you can plan ahead. It works with Google Home, Amazon Alexa, IFTTT and Apple HomeKit, with the ability to be controlled by a range of devices including iPhones and tablets. A great feature is that it can also be controlled from the large touchscreen as opposed to just WiFi, so if your internet cuts out or you drop your smartphone rendering it useless, you aren’t left in the cold. 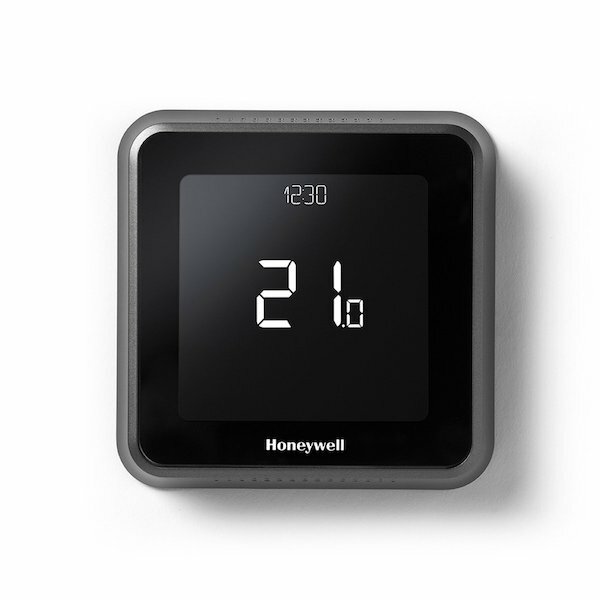 A smart thermostat which doesn’t rely on being ‘smart’ to always work - we like the consideration which Honeywell have put into this. As this is a starter kit, you have everything you need to get going, including the necessary bridge. The TADO app lets you see what the current room temperature is, and adjust the settings to get it just right. It will work with most new and old heating systems. The settings are also displayed clearly on the screen, and you can change them either through the app or through the actual thermometer – useful if you regularly misplace your phone or it is a bit temperamental. It works with the big three voice assistants (Siri, Google Assistant and Alexa), making it even easier to control from the comfort of your sofa, or when you’re in another room. TADO will monitor the local weather forecast, heating less on a sunny day/more on a cold day, even if specific settings have to be overridden for efficiency. Geofence technology will tell it when you’re approaching home and turn the heating on if needed, and it will also learn how fast it takes your home to thoroughly heat, so it becomes more prepared the more you use it. There is an adjustable radius setting. There is the possibility to save 31% of your carbon footprint, and personally tailored reports will let you know what other actions you can take to save further. This could see a £200 annual saving per year. Great user controls and features make this a solid choice, and even though the price is on the higher side, it is a sleek and adaptable product. With the ability to control this thermostat with your phone, tablet or PC, you will never be stuck from choosing what you want, when you want. It is compatible with Google Assistant, Apple HomeKit, and Alexa, with the added benefit of being able to use it with Facebook Messenger too, simply by typing in your request. The thermostat uses your answers to five questions (when you wake up, leave the house, come home and go to bed) to create a schedule that’s based on your lifestyle. The Netatmo also learns about your regular habits and movements outside of these settings and adjusts its operations accordingly. It monitors the indoor temperature to ensure a constant is kept. So, you benefit from the fact that the right temperature is always ready and waiting for you. Up to 37% can be saved on your regular heating bill with a smart thermostat, and you’ll also cut down your energy waste as you won’t have to leave the heating on when you’re out for when you get back. Every month, you will receive a personalised report on your usage, which will help you make different decisions on how to save money. Installation is simple with most modern central heating systems but could be more difficult with older ones. Once this hard part is done, controlling is really easy from the app. A lot cheaper than most of its competitors, without the need for extra costs either. May not look anything like a thermostat, but works incredibly well. The cheapest smart thermostat we have reviewed, but this doesn’t take away its capability. For a low price you get the thermostat, stand, batteries, receiver, gateway, ADSL cable and power adaptor all included, plus screws for wall fixing – no extra hassle required (apart from installation). It will control your central heating and hot water, as well as underfloor heating if applicable. You can also choose two zone heating, in case you want to split your home in half and control each separately. Accurate control means that if you set the temperature to be kept at a steady 20°C, it will switch on or off at 0.5° either side of this. Unlike the other thermostats, there is no voice assistant integration with this Salus thermostat yet. So if you want to be able to tell Alexa to turn the heating on, this isn’t the pick for you. But if you don’t have any smart speakers and just want a simple, standalone thermostat which has the added benefit of remote controlling, this is a good budget buy. Automatic software updates keep everything in check and have resolved older problems such as there now being an easier to use app. There aren’t as many features as with more advanced/expensive models, but for the price, it does the basics very well and with ease. Suitable for combination boilers, this Drayton model is one of the most adjustable ranges available. Available in heating only, heating and hot water, and for two or three extra room zones, you can have full control over what you heat and where. Boost your heat and set schedules through the Wiser Heat App, as well as there being an Eco Mode for saving that extra bit of energy. It is one of the best options for keeping your temperatures constant across the system and showing accurate readings. If you want the full system with the radiator valves too, they are one of the cheapest options on the market (partly due to the lack of screen or display – you need to check heat through the app). This makes it a great choice if you want to turn all your radiators smart but are worried about breaking the bank. The instructions are also some of the easiest to read out of all reviewed, which is a plus if you are just starting out in the smart technology world and need a little bit of assistance. It won’t learn your habits or check where you are, but for ease of control and timings, it is a great option. Not necessarily the cheapest starter pack, but one of the best value ranges if you want to kit your entire house out. An additional product for the TADO smart heating system. It will work with the majority of upright fixed radiators, with both horizontal and vertical mounting options available. Simply unscrew the existing valve and replace with TADO’s. You are also able to buy the radiator components as part of a starter kit if you don’t already have the central heating thermostat fitted, or if you get your heating from a district boiler and don’t have your own. 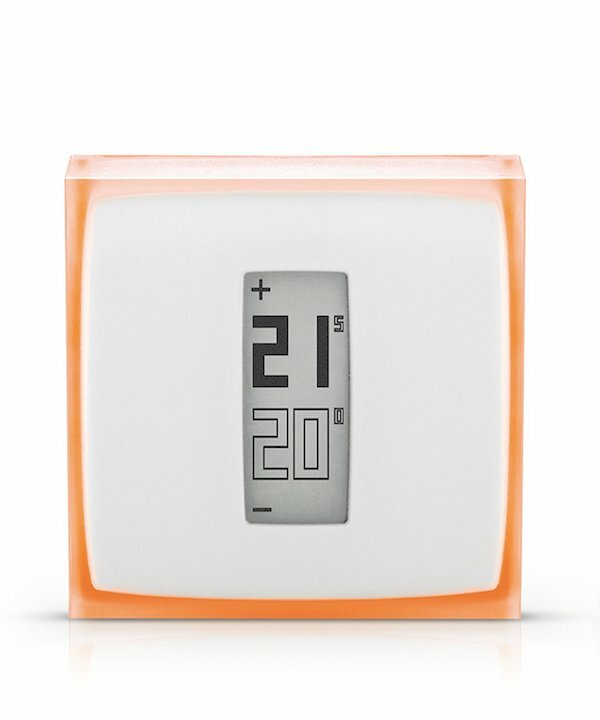 The dial at the top of the thermostat will alter temperature, activates the display and lets you change the mode. The screen shows whether it is on ‘home’, ‘away’ or ‘manual’ mode, as well as the set temperature. Smart climate assistant will monitor the temperature and feel of the room, adjusting how the thermostat works in accordance. TADO’s app will let you control all of the products from anywhere, adjusting everything separately or together as a package. If you’re bothered about noise, there is no need – they let out a small whir when changing temperature, but nothing too disruptive. It is worth saying that a lot of people report that the adaptors don’t work with Danfoss radiators – make sure you are aware of your model and brand before you buy. And, as the thermostat is close to the heat, the reading can sometimes be off and higher than the room temperature. A really great idea and, despite the few limitations, can help you save even more money and have more control over your heating. With the ability to set timings, you can rest assured you can sleep in ideal 18° coolness but step into a cosy bathroom at 6 am the next morning. You can set the desired temperature to a precision of +/- 0.5°C directly on the radiator thermostat, or per WLAN via the dedicated app. Up to ten thermostats can be installed for each ‘scenario’, i.e. ten per room through the app. It must be used with the Bosch Smart Home controller, but if you have this, you are good to go. There is even a QR code on every thermostat which you can scan for an easy installation guide. The app has a really clean, clear interface for ease of use. There is the ability to purchase an entire climate control kit, which includes two radiator thermostats as well as one door/window contact and the necessary controller. This makes it one of the most adaptable home hubs available on the market. A frost protection guarantee detects temperatures under 4°C, taking the necessary action and adjusting the temperature. While it does well to control temperature, there are still a few things that let it down, namely the restrictions in temperature setting. You can’t see the current room temperature in the app or on the thermostat, only the set temperature. The adjustable on/off time option only allows one set temperature, too – not ideal if you prefer it to be warmer in the mornings than evenings. However, it does periodically open the valve to protect against calcification, keeping your heating system in check without you having to. The Bosch Smart Home Radiator Thermostat works really well, and the app is one of the best home control app's on the market . Bit pricey for what you get. As with most appliances, the more technical products are often more expensive. However, there are some thermostats out there which give you much more freedom and adaptability for not much more than the cheapest products. Some are also only compatible with certain models of boiler or radiator, so check which you have first before you even consider things such as price and control. These allow you to control your heating in terms of temperature and timings, through either a dedicated app or through a voice assistant such as the Amazon Echo, Google Home or Apple HomeKit. They operate over WiFi, so you can control them from anywhere as long as you have internet, too. Most require a hub to be connected to your internet router, and then a receiver to be connected to the boiler. These allow you to control individual radiators and zones separately to the rest of the household. So, while your central heating thermostat will try to optimise the temperature throughout the house, an individual radiator control will override this. They work with thermostatic radiator valves (TRVs), so check to see if your radiator can make the change first. They are ideal if you have a certain room in the house you like to keep warmer than the others, or one which needs to be heated at a different time. Perhaps one room is a lot larger than any others, but as the heating stays on until this is warmed sufficiently, the others get too hot. Or maybe you’re on the early morning shifts so want your bedroom to warm up without the rest of the house doing the same. You may even have spare bedrooms which don’t need heating until somebody is in them, and then need an extra boost. They often require the bridge and rest of the smart heating system to work, so are an add-on. The price of smart thermostats doesn’t differ much between retailers, nor does it tend to vary much between items. If you do your comprehensive research, you could end up paying not much more for a high-end model over a basic one. A lot of the overall cost can come from extras such as any requires hubs or bridges for connections. There may also be installation costs to consider, and it isn’t always best to avoid this to do it yourself – a lot could go wrong unless you’re handy with DIY. Generally, you can control the times at which your heating turns on and off through a smart thermostat. However, some may limit you to only four settings, which isn’t great if you need upwards of six due to a particularly busy household. Some also have GPS location tracking and can tell if someone in the house is coming home, preparing itself to turn on. Likewise, they can turn off if nobody is in. A lot of models will also pick up your general repeated habits (such as how you always set it to come on at 9 am on a Sunday) and act without you having to remember. Some also can ‘learn’ about your home, working out how long it takes to heat certain rooms and turning on at the correct time to adequately heat the house by 6 pm when you return from work. They can also monitor the external weather and temperature and act accordingly. Some of the thermostats are easier to install than others, but it is generally recommended that you get a plumber or official engineer to fit it on your behalf. This will ensure it is working correctly, as well as there being less risk of damage to your system. The option to book installation is often available as an extra when buying a thermostat, or you can inquire with a local engineer before purchasing to see how much it would cost from them. Not necessarily the most critical factor, but thermostats will be on show in your home so getting one which looks the part could be important for a lot of people. Also, consider the screen display before you buy. Some have clearer information on-screen than others, some data is easier to see on some than others, and some have backlights for ease of use in the dark. Thermostats with geolocation ability will detect the movements of anyone with the app installed on their phone, telling whether they have left the house or are returning. Some can also be paired with motion sensors to detect movement in the building. It will then take the necessary action in lowering or increasing the heating, or notifying you if it is on, but nobody seems to be home so you can take the correct steps. Most of the high-end thermostats have this feature, and it is good for any homes where the schedule is not regular (such as people on shifts or a busy house share). A lot of people will be perfectly okay with just the remote/timer control capabilities, so it isn’t essential. Will my boiler work with a smart thermostat? You need to check both your boiler specifications as well as the thermostat user manual to see if they are compatible. If you have an older boiler model, one with a separate water tank or underfloor heating, you may only be able to choose from specific models. How much money can I save with smart heating? Smart thermostats can work by turning off any products which don’t need to be in use, or keeping items at the lowest necessary temperature to save on energy use. Or you can set it to turn on at a certain time so it will be ready for when you get home, and it will heat up slower and at a more regulated temperature than if you were to turn it up full in a short time. This means that, in theory, no energy is used or bills added to when it isn’t necessary. There’s no guarantee it’ll save you money – this depends on your energy supplier, boiler and general heating setup – but many claim they could save you around £200 if used correctly. Do I need to switch energy supplier? Usually, no. They are different to smart meters in this sense. Smart thermostats work independently from energy companies, so it doesn’t matter who you get your energy from and you won’t have to change to a different supplier.